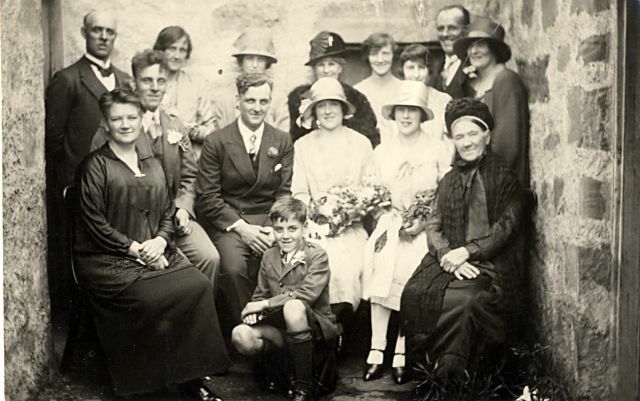 "On the left at the front is Mrs Ferguson, mother of the bride. On the right is the bride's Grandmother wearing her 'mutch' on her head. She used to eat an apple with a teaspoon as she had no teeth." "The bridegroom was from Dingwall." Is that Evan (The Post) Ferguson back right?